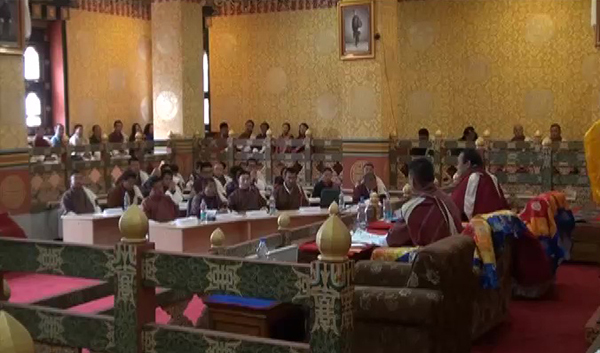 The issue was also discussed at the recent Dzongkhag Tshogdu. The local residents are not very pleased about the closing time. The fuel station in Tsimasham, for instance, closes at 9pm. Being located on the highway, it not only caters to local residents but also travellers. Therefore, Bjachog Gup Penjor Dorji said it would make more sense to extend trading hours. “Sometimes during emergency, we have to travel at night but the fuel station is closed,” Gup Penjor Dorji said. “In Phuentshogling, people can refill their car tanks even around 2 in the morning. Since the owner of the fuel stations in Phuentshogling and here is the same, I wonder why the depots here can’t remain open all the time,” he added. Tsimasham fuel station‘s tank has a capacity of only 7,000 litres, while the stations in Phunetshogling and Thimphu can store over 20,000 litres, said the Tsimasham depot manager. He added they are trying their best to improve their services. Bongo Gewog Mangmi Sonam Dema said it’s the same in Gaeddu. “Whenever the power goes out, we have to use kerosene. But kerosene is not easily available,” she said. Chapcha Gup Tobgay said the people are also confused about the online coupon for kerosene and LPG. “People find the online system not very user friendly and want to revert to using cards for refills,’ he said. Regional trade officials said the confusion wouldn’t be there once people get over the transition period. Officials added that the online system would help bring transparency in the distribution of the Petroleum, Oil and Lubricants (POL) products.